Strong inside arm, pole tip moving forward? Remember: If your inside arm and pole tip and not moving forward in the arc, you are rotating. Because Hirscher does so many things right, you could also say that this photo includes and covers about 5 other points on the PMTS check list. For example: Hold your inside foot back, and keep a closer stance. 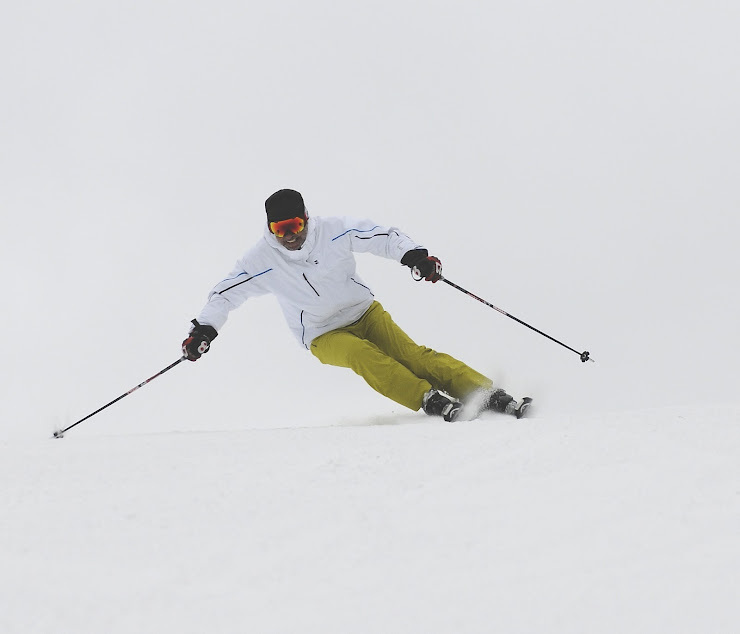 How about flex your inside leg and tip your inside ski? They are all there. No hidden agenda in PMTS, it's all explained and based on movements you can learn at any level.